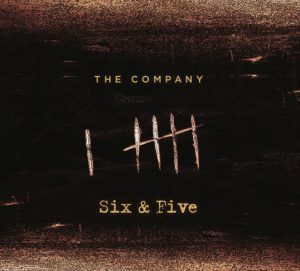 Brisbane based bluegrass and acoustic music group The Company announces the release of their third studio album titled “Six And Five”. 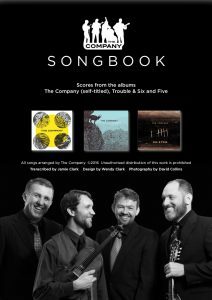 Featured as ‘Album of the Week’ (Oct 23rd, 2016) on ABC Saturday Night Country, this is The Company’s most ambitious project yet culminating in thirteen all original tracks and showcasing the band’s individual and group virtuosity, ranging from traditional bluegrass style arrangements to through composed pieces. Timber and Steel have placed the album at No.3 in their Top Albums of 2016. 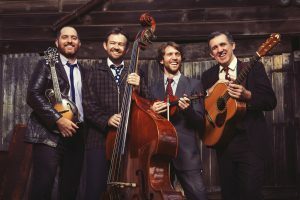 The Company brings together Nashville based, New Zealand born George Jackson on Fiddle and Banjo, Brisbane’s Guitar guru Jamie Clark, deft tenor vocals and Mandolin of North Queensland native Michael Patrick and Norweigion born double bassist Markus Karlsen. 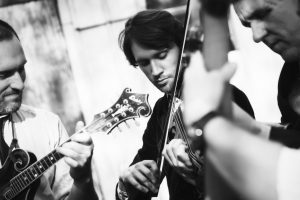 The band boasts two Australian Bluegrass champions on guitar, fiddle and banjo, and theirs is a passion for high-energy original and traditional acoustic music. The playing and singing is crisp, melodic and soulful. In concert you witness the band’s virtuosity but also a wry humour and engaging camaraderie. The Company officially launched Six & Five on November 5th, 2016 in Brisbane and have toured nationally during October and November 2016 and an extensive tour in New Zealand in February 2017.